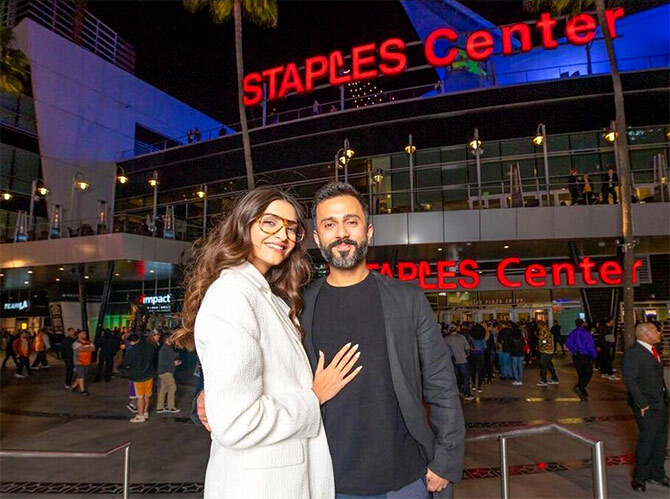 Rediff.com » Movies » Why is Sonam in LA? Does Hollywood beckon? 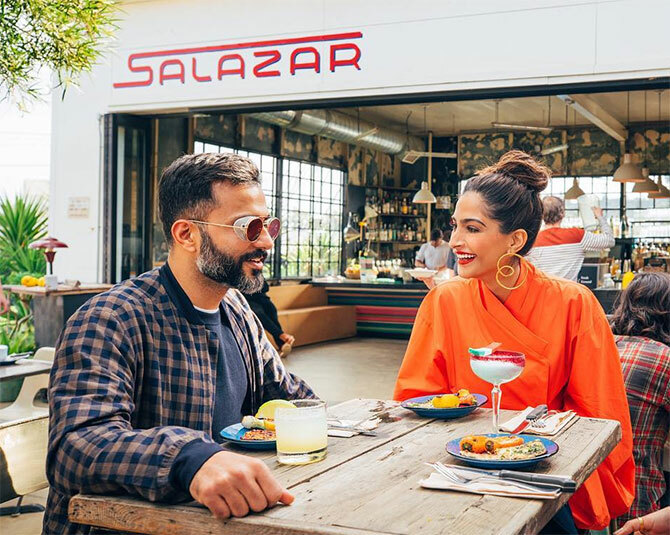 Why is Sonam in LA? Does Hollywood beckon? 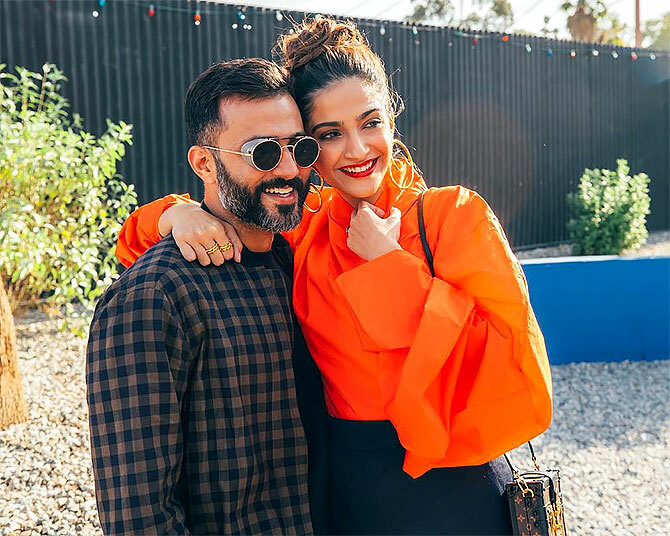 After holidaying in Bali, Sonam K Ahuja and her husband Anand Ahuja are spending quality time in Los Angeles. The couple zoomed off to LA over the weekend and have been updating their social media pages with lovely pictures. 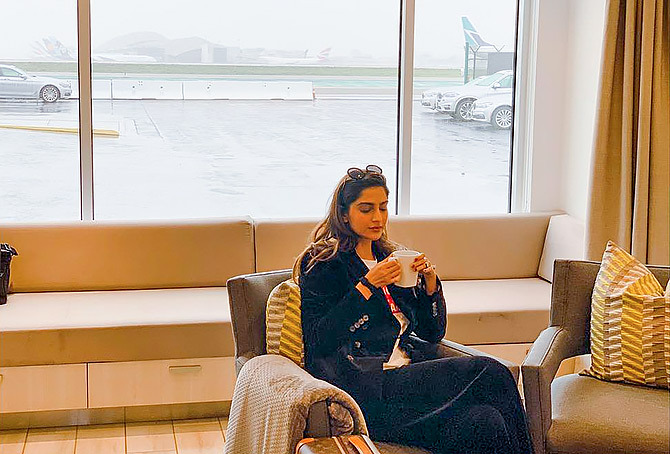 The first thing you should have after arriving at your destination is a good cuppa of coffee. 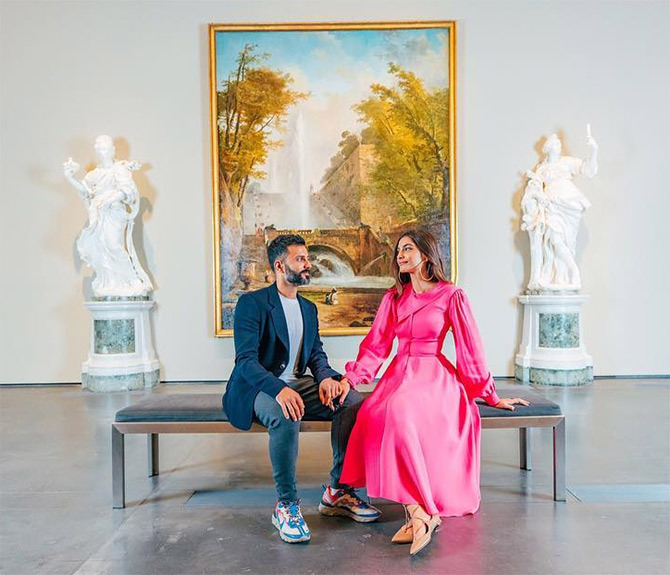 Sonam and Anand visit the Los Angeles County Museum of Arts. Time to feast on delicious vegetarian food. And that's how you stay stylish while travelling. Always wanted that superhero experience? 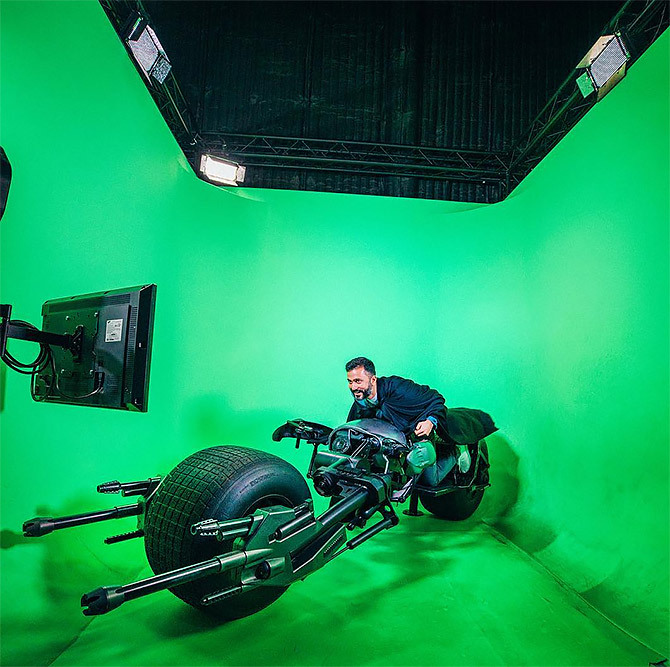 Take a cue from Anand and head to the Warner Bros Studio. 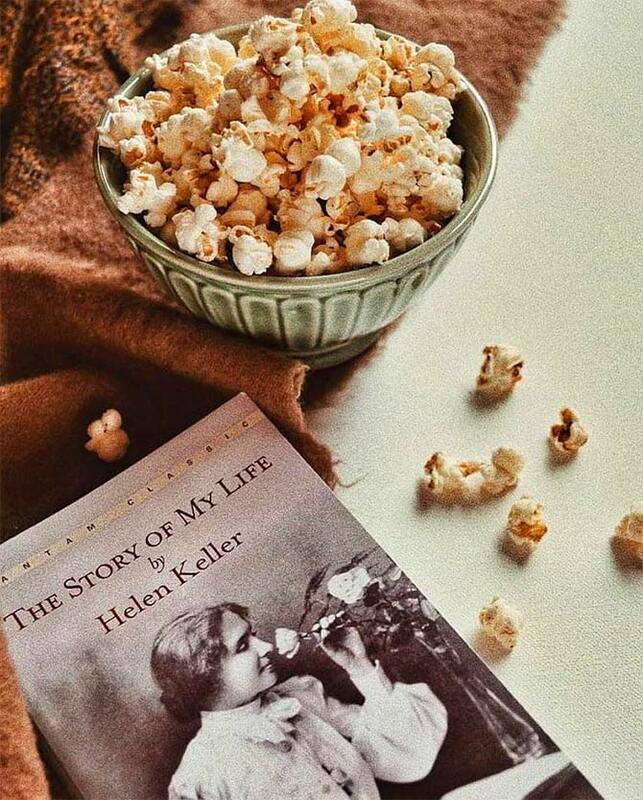 Sonam picks up a book -- and some popcorn! -- in her spare time. 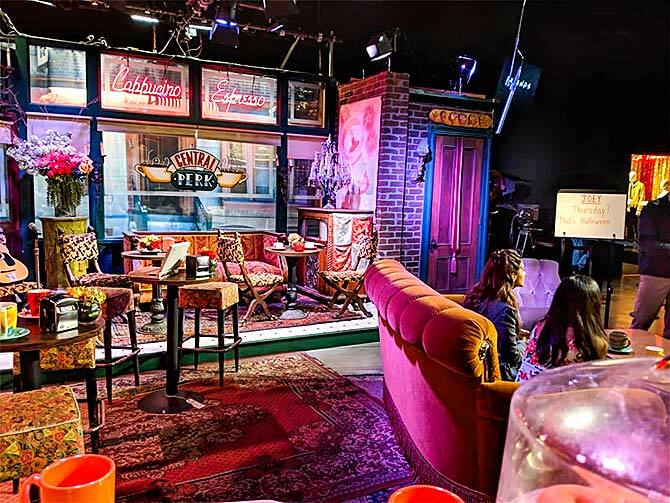 Internet singing sensation Vidya Vox joins Sonam and Anand on the sets of F.R.I.E.N.D.S. We all want to visit Central Park someday, don't we? 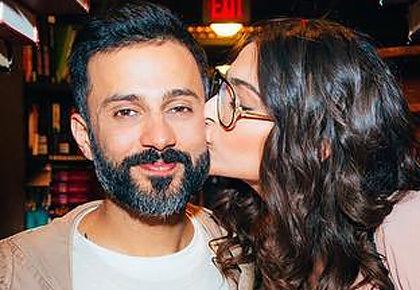 We love this picture of the Sonam kissing her hubby at The Last Bookstore. 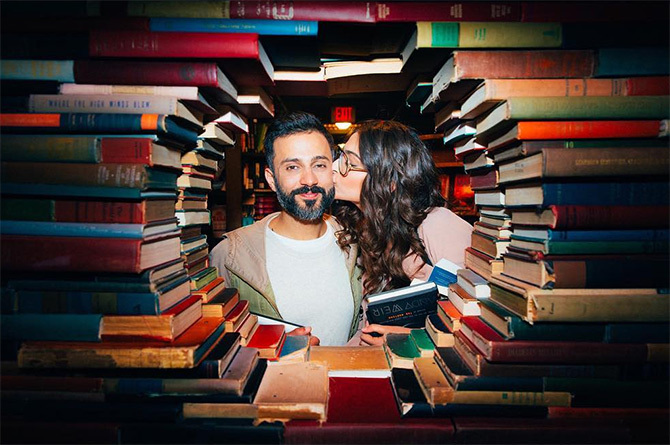 PS: Sonam finds libraries and bookstores very romantic. Well, now we get her mushiness. And a super cute candid picture is the best way to end a trip. What's Shriya doing with the Sphinx?